Since its acquisition in 1926, the SMA property at Dromantine, Newry, Co Down has had a vital role to play in the development of the Society and the work of our missionaries in Africa and elsewhere. From 1926 until 1972 it served as the Major seminary for the Irish Province. More than 600 priests were ordained from here, the vast majority ordained in St Colman’s Cathedral, Newry, making the seat of the Bishop of Dromore the Cathedral with the most ordinations in Ireland. Since 1972, when the seminarians moved to Maynooth and studied alongside diocesan seminarians at the National seminary, the focus of Dromantine gradually changed. Today it is now a well-known Retreat & Conference Centre as well as a place for SMA supporters to gather for different SMA events – FVC Retreats, SMA Holiday Camp which now runs for 6 weeks every summer, Dromantine Theology Course, Friends of Africa etc. It also has an ecumencial dimension and has gladly hosted meetings from other Christian Churches and Inter-Faith meetings. It is also a major fund-raising centre for the Society of African Missions. Income to Dromantine helps to fund our mission work in 15 African countries. So it is to be expected that the leadership of this House is entrusted to competent and experienced missionaries, men who are committed to Africa but are willing and able to serve the Province on the home front when needed. This is clearly seen with the new leadership team which has just taken office in Dromantine, Fathers John Denvir and Paddy O’Rourke. Fr Paddy, from Laragh, Co Cavan, was ordained in 1989. During his seminary formation he was sent to Liberia for a pastoral Stage year where he worked in the port city of Buchanan. After ordination, Fr O’Rourke returned to Liberia, to the diocese of Gbarnga and worked in the Cathedral parish there. When the Liberian Civil War made it too difficult to continue, Fr Paddy was asked to be part of the fledgling SMA team in Tanzania. For eight years he worked in different parishes in Shinyanga diocese. In 1999 he was asked to open a new parish in the Archdiocese of Mwanza. Just over two years later, Tanzania was made a separate SMA Region and the members there elected Paddy as their Superior. Mwanza became the headquarters for the SMA team, working in four different dioceses. Paddy was re-elected as Regional Superior, a post he held until last year when he took a well-deserved Sabbatical. Like many missionaries before him, his life has taken a major turn with his appointment to Dromantine. We wish him well in his new task. Fr John Denvir is returning to his roots with this appointment. 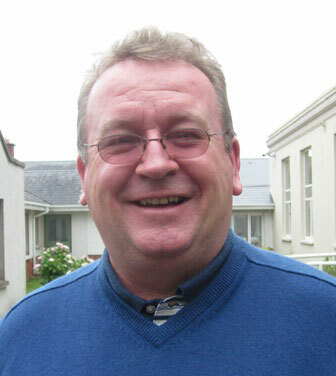 From Downpatrick, Co Down, Fr John was ordained in 1988. He too has had a varied missionary life and, no doubt, will bring those experiences to his new work in Dromantine. His Stage year was spent in Lagos, Nigeria. After Ordination he was appointed to Tanzania and served in the diocese of Shinyanga for 3 years. 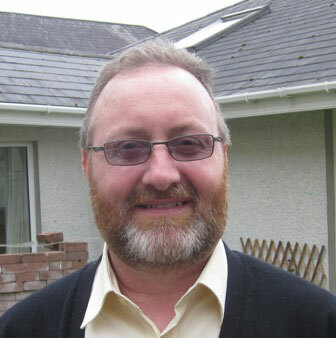 Ill health forced his return to Ireland in 1991 and, when sufficiently recovered, John became part of the SMA Vocations team, visiting schools all over the country and putting the challenge of missionary priesthood before the youth of Ireland. After 3 years in that work, John moved to the Sacred Heart SMA parish in Luton, England where he served for three years. In 1989 the SMA established new branches of the Society, seeking missionary vocations for Africa: in Poland, India, Philippines and several African countries. As the Province with many young members, it was not a surprise when Fr John was asked to go to the Philippines (1997) and help train young Filipinos who wanted to be SMA missionaries. For some years he worked with Fr Gus O’Driscoll in the SMA International Spiritual Year (ISY) in Silang where students from the Philippines, India and Ireland spend a year before going on Stage to Africa and then complete their Theological studies. In 2001, Fr John was appointed as the Vocations Director in the Philippines, travelling all over the largest Catholic country in Asia in search of vocations. The following year he replaced Fr O’Driscoll as the ISY Superior. In 2010 Fr John handed over to Fr Robert Sagayam SMA (from India). After a Sabbatical programme, Fr John is now taking on a new challenge. No doubt he will rise to it and enjoy some walks in the rolling hills of his native County Down.